India has achieved a pre-eminent position in the field of science and technology, space, atomic energy, information and Biotechnology. 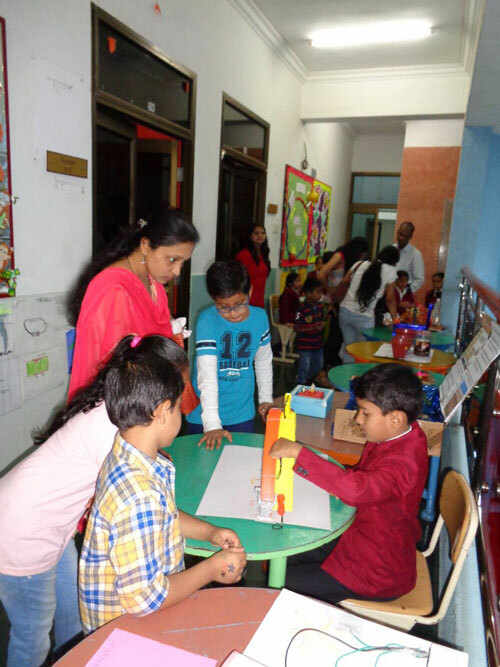 With this concept to promote young scientists, to feed their hunger for knowledge and to commemorate Thomas Edison’s birthday, Dr. Pillai Global Academy formally inaugurated its 11th Mathematics and Science Fest on 11th February, 2017. 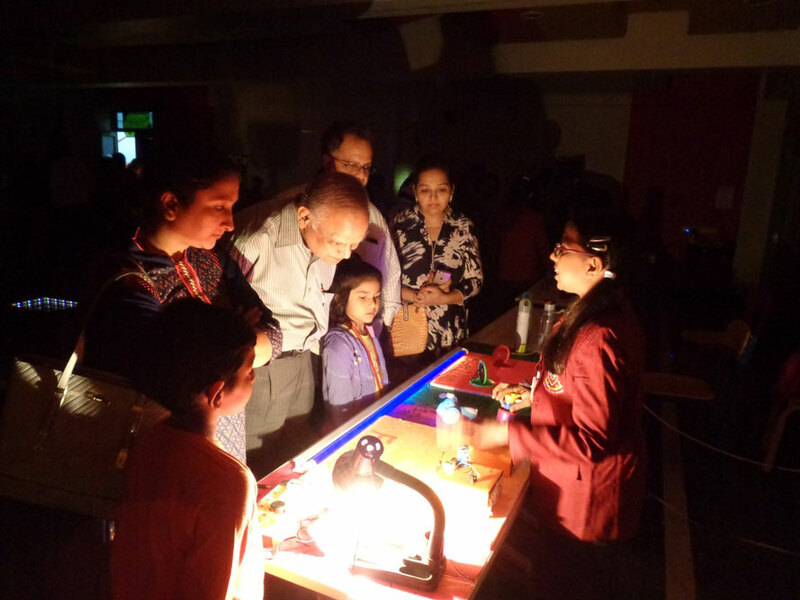 This fest named ‘Scintination’ and ‘Mathoscope’ was inaugurated by our Dy. 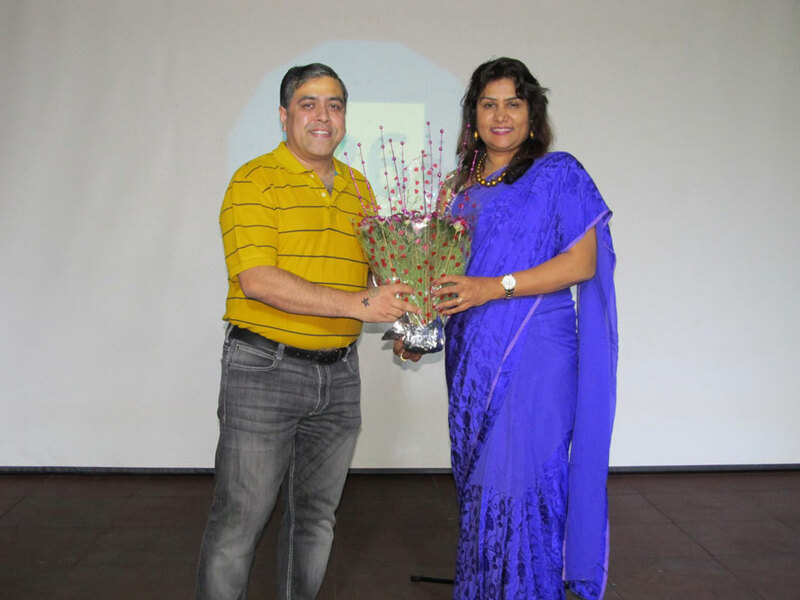 CEO Ma’am Sharda Sharma. 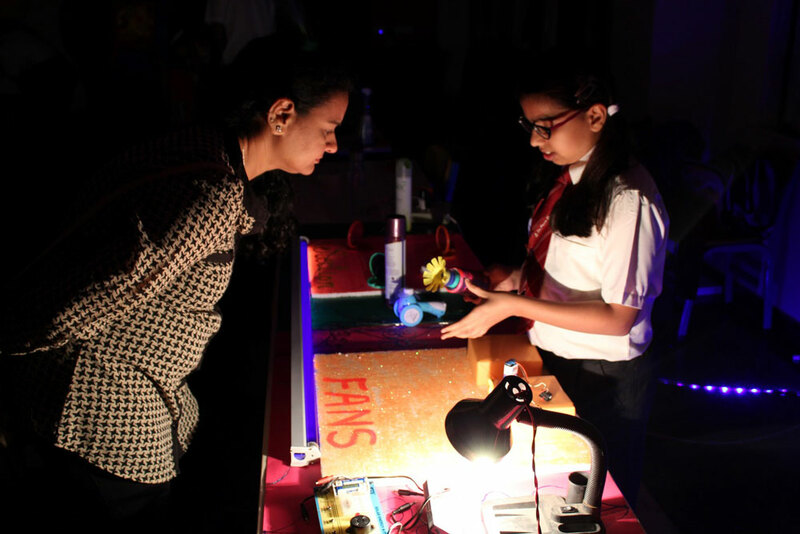 In her inaugural speech she informed that this was not only a festival but a movement to connect people with technology and its contributions in our day to day life. She also added that its aim is to encourage young minds and promote exchange of knowledge and ideas within the masses. 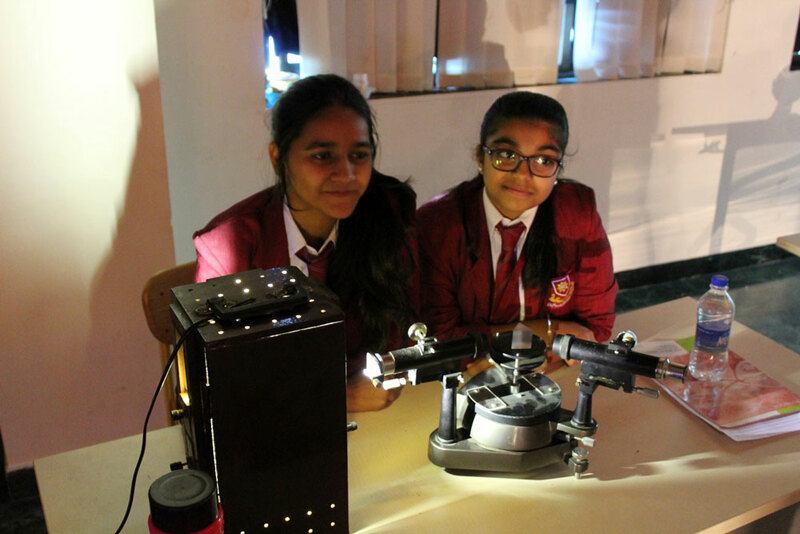 The fest witnessed several mathematics and science activities from primary, secondary and IBDP students. 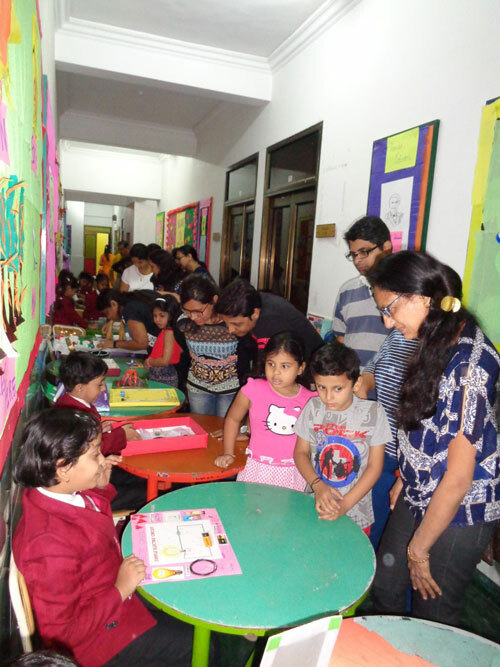 More than 400 exhibits were presented by the school students. 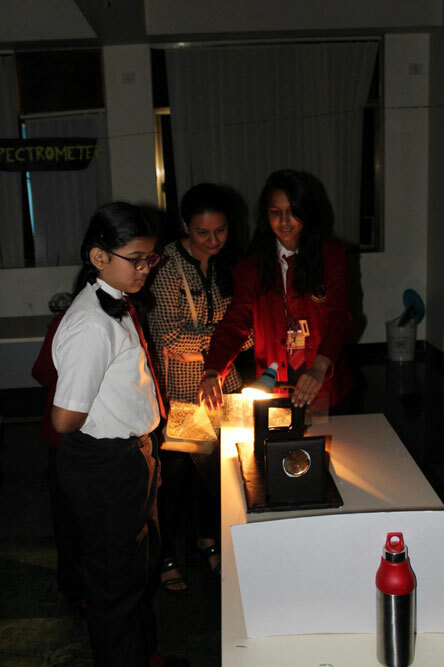 The main attraction of the event was the darkroom showing different experiments of science especially of physics related to light. 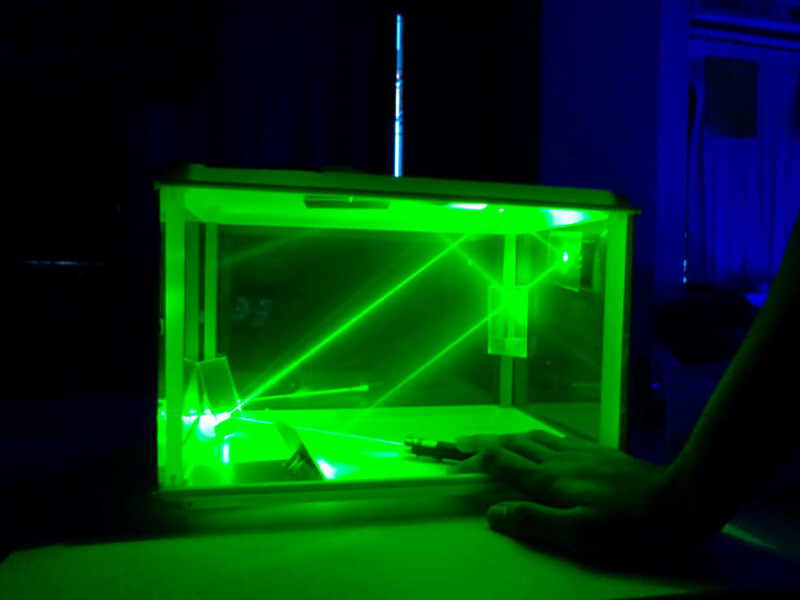 There were experiments of Oscillation, Hologram and Rutherford’s experiments explaining structure of atom. 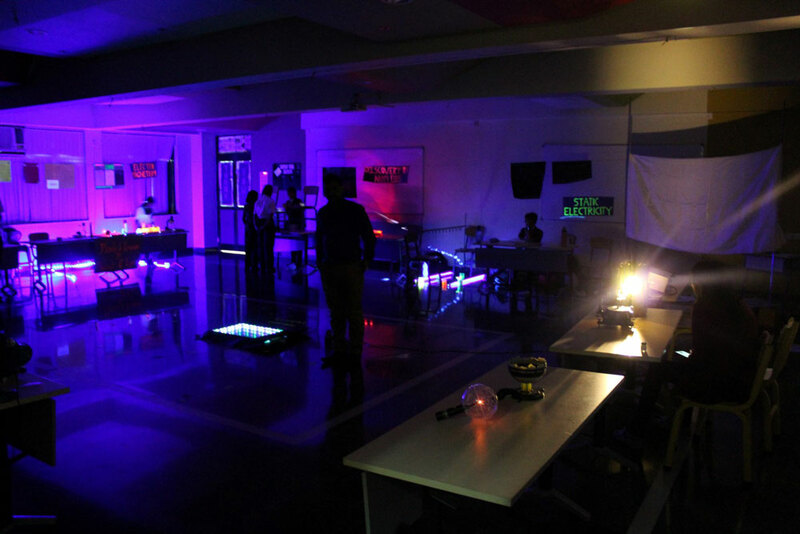 A small documentary using shadow effect was also shown in this dark room. 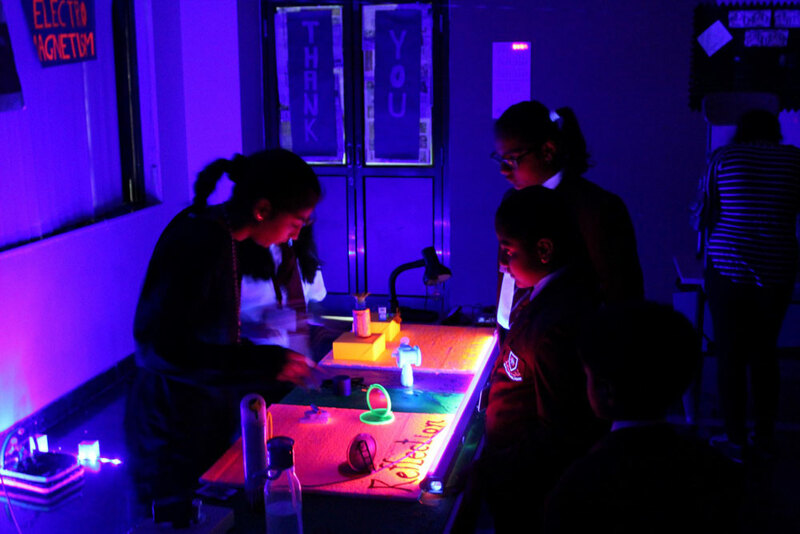 The dark room experiments included properties of light like reflection, refraction, bending, shadowing and projection using convex lens. 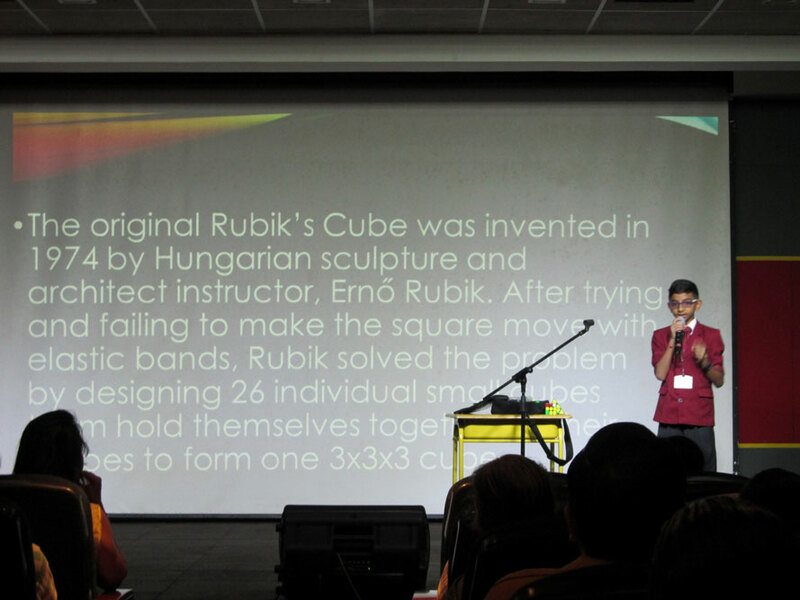 The young mathematicians brought new dimension to mathematics by various mathematics models like Pascals’s triangle, Fibonacci sequence and illusion. 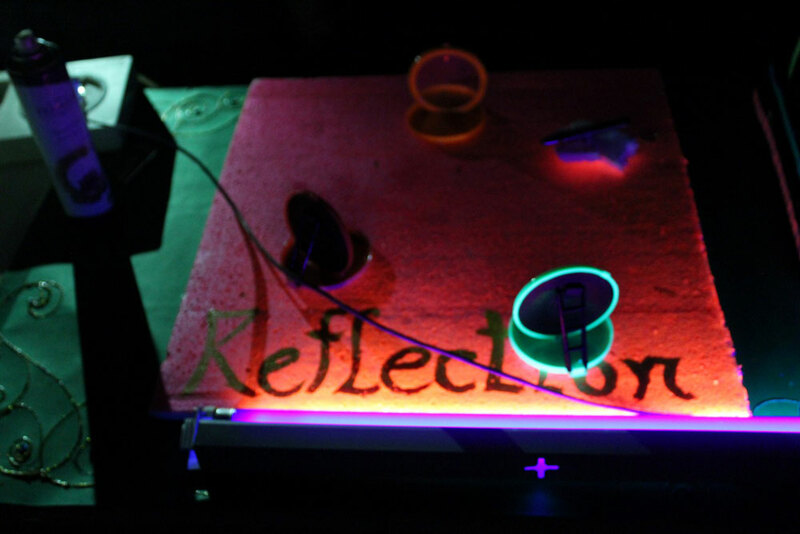 The Biology and Chemistry students presented exhibits like climate change, probiotic drinks, geothermal plants and chromatography. 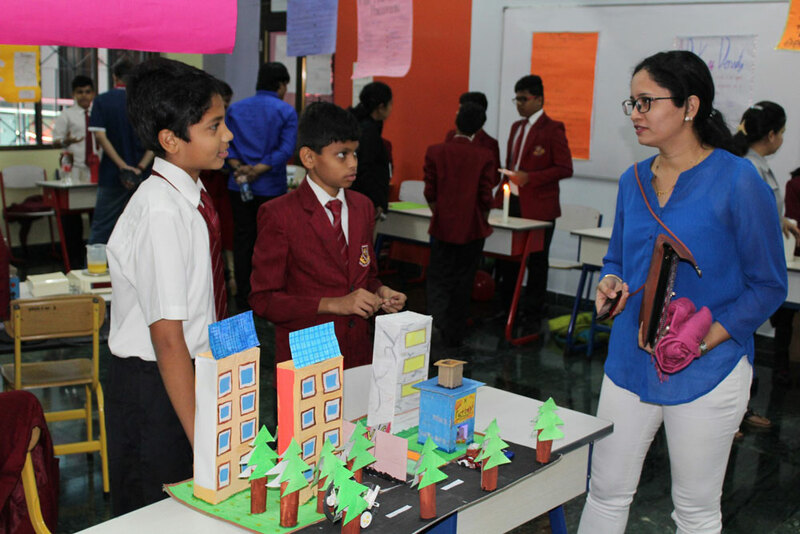 Students also exhibited different working models on science for sustainable development like sea water purification plant, future city etc. 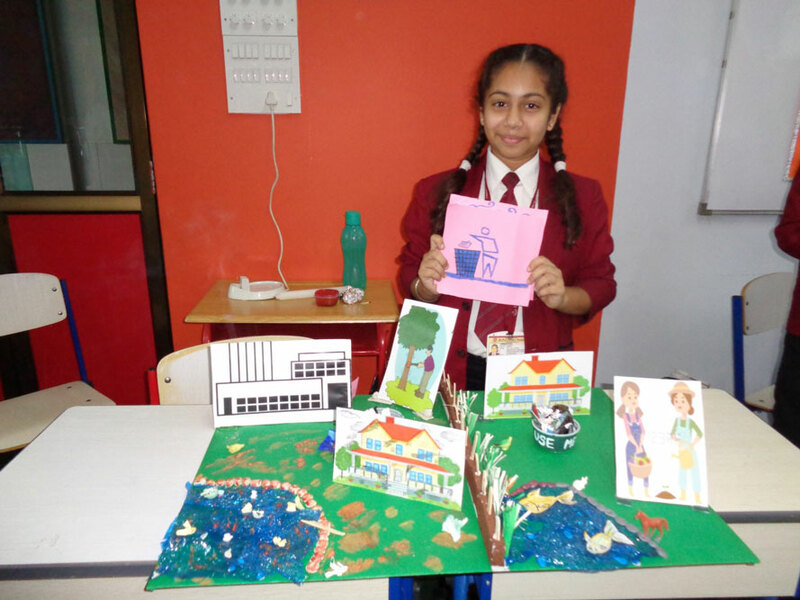 Models of human lungs and Surya Nagar for solar energy were also made by the students. 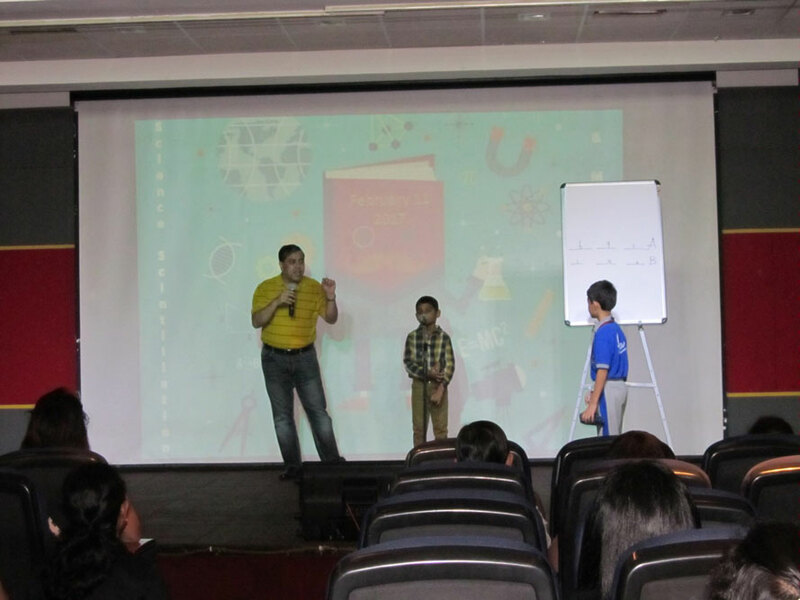 Various concepts like circle, Pythagoras theorem, Fibonacci series and the most interesting triangular pattern i.e. 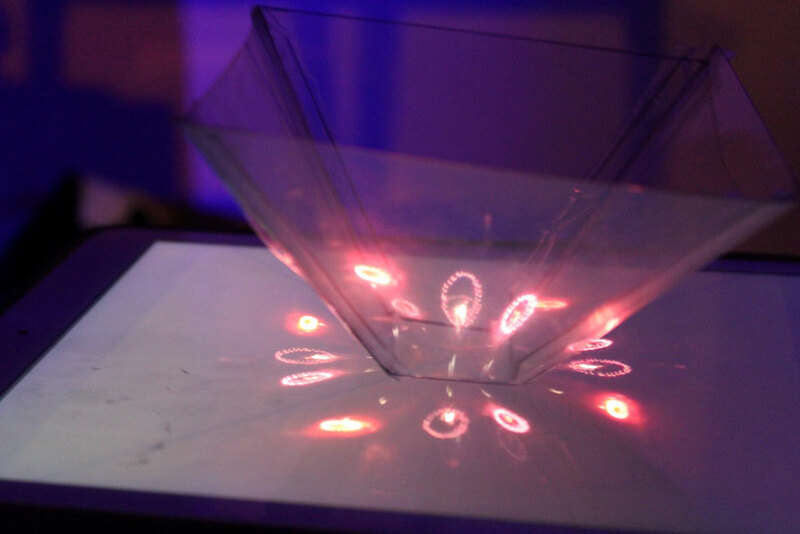 Pascaltriangle were exhibited by the students. 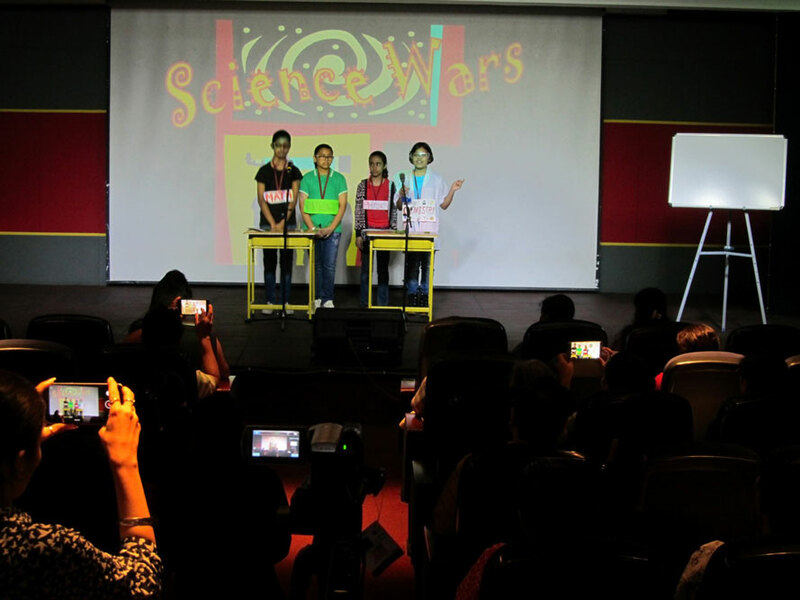 Students of Grade 6 presented a Parody on Science Wars. It was to prove which field among the three Sciences and Mathematics is the best. 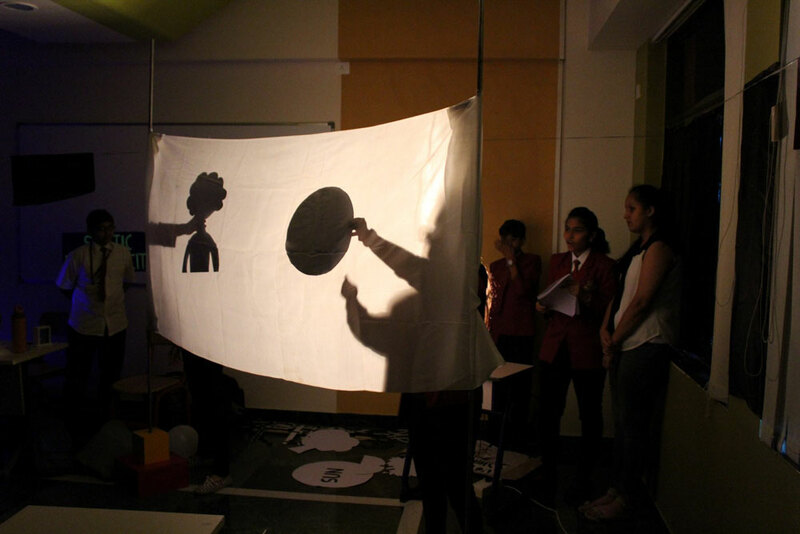 End of the Parody concluded that each of the subjects has its own importance and they are inter-related to each other. 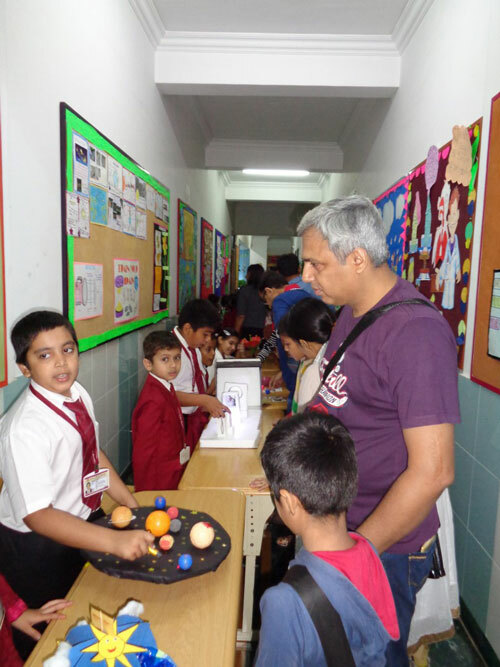 Here parents of students also contributed to Math Science Exhibition. 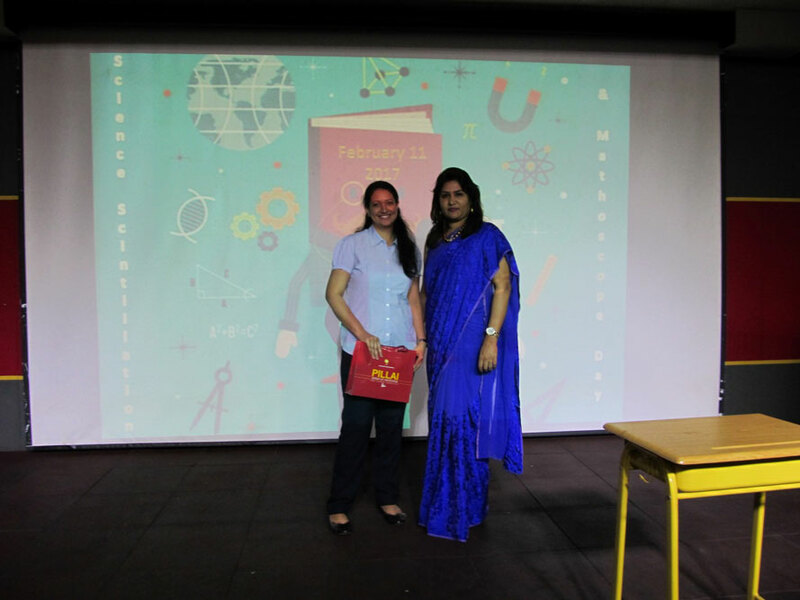 Parents of Grade 5 students Sir Sudeepta Chaudhari and Ms. Jhanvi Vazirani gave a presentation on Math-e-magic and Statistics and data analysis respectively. 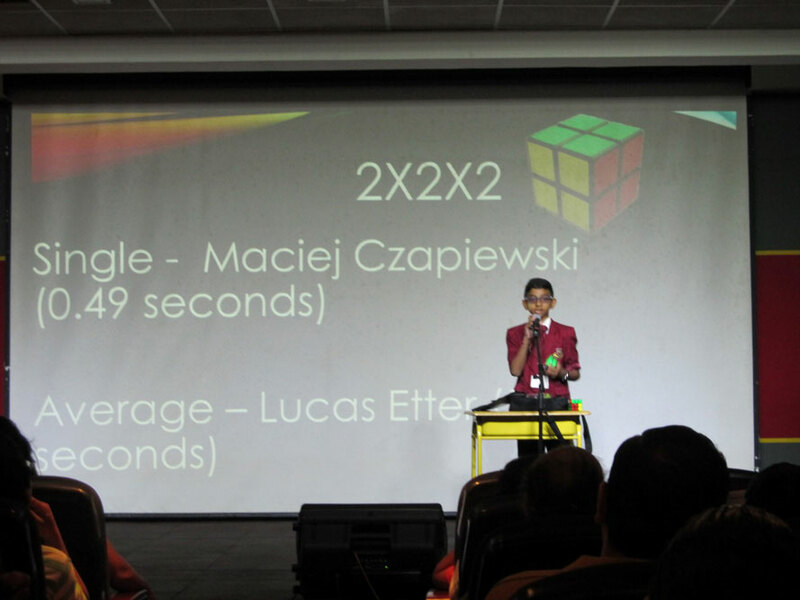 Two of our talented students Nnisarg Gada (Grade 7) and Vraj Chopra (IB student) came up with their presentations on Rubik Cube and Easy ways of learning Mathematics respectively. 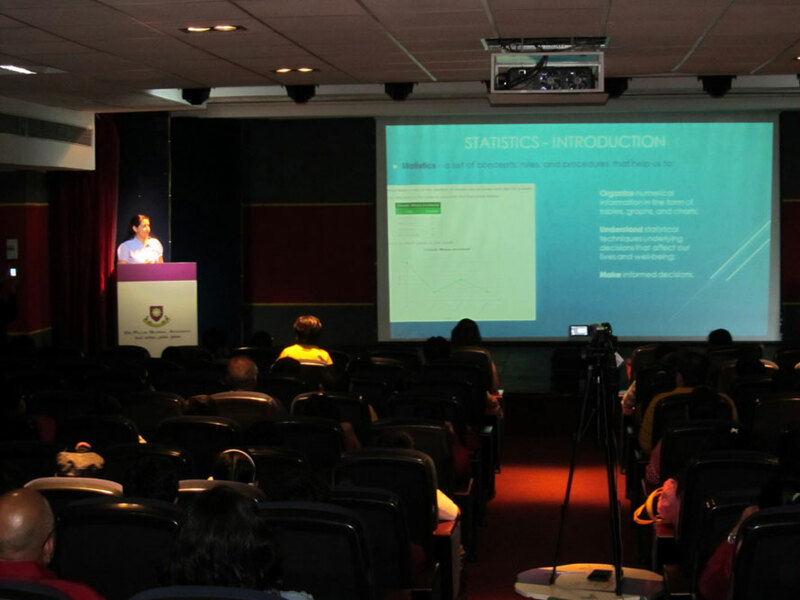 A token gift was given to the distinguished speakers as a mark of respect and recognition. 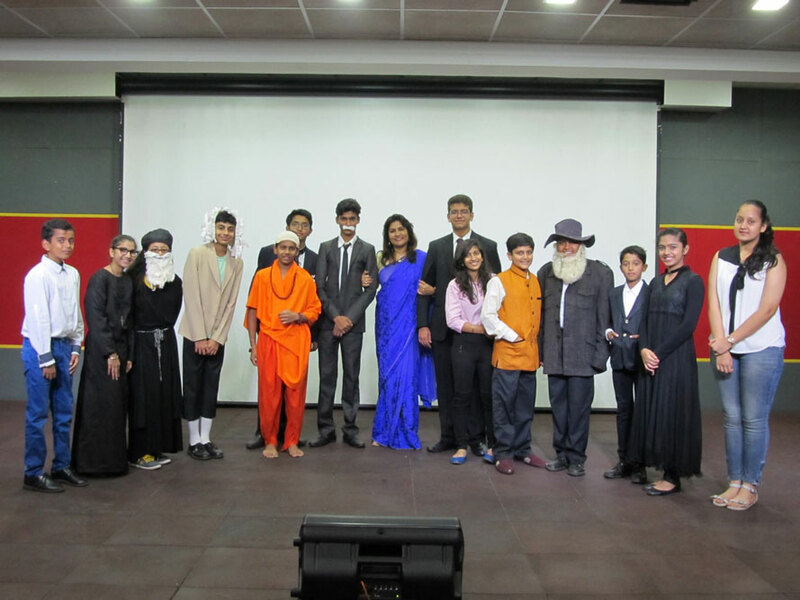 To add to all this IB students collaborated with Secondary section students to present a skit ‘The Leaders of the Universe’. 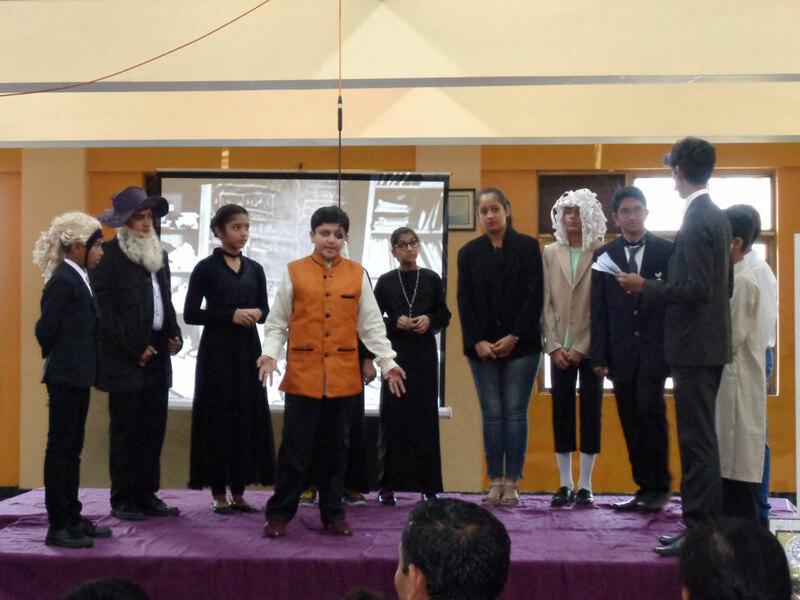 In the skit all the scientists and mathematicians of different era came together and were trying to prove the importance of his own theory in today’s world. Students looked great dressed up as scientists and mathematicians. 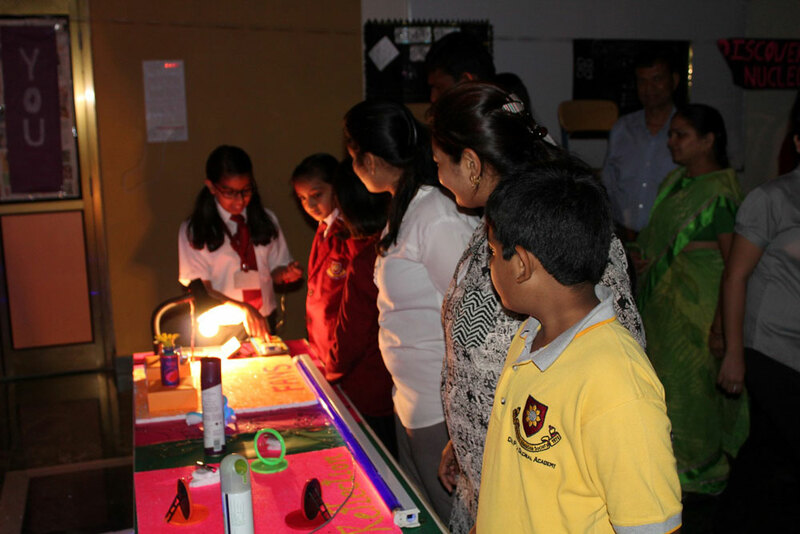 On one hand where various exhibits in the field of science and mathematics where capturing the attention of the masses, the students of IBDP sparked awareness among them by demonstrating new concept of solar village, where the issues regarding fossil fuels reduction, water loss, rain water harvesting were discussed at local and global level. 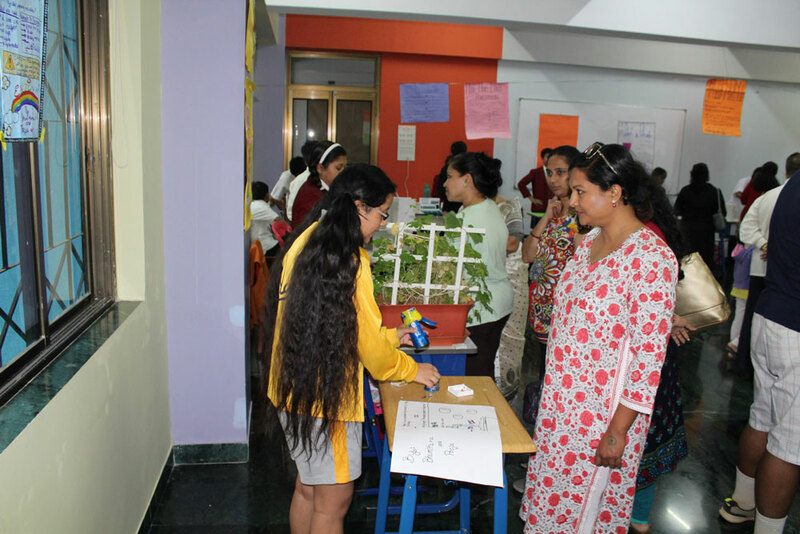 All Science and Math teachers were actively involved throughout the Math-Science week to make this event memorable and successful. Through increased awareness and education, we can help create a new culture to make this world a fairer place for all living organisms.